Is it Time to Say ‘Goodbye’ to Your Old AC? We understand that saying goodbye isn’t always easy. However, sometimes saying goodbye is good and much-needed, and this is especially the case if you are operating an older or outdated air conditioning system. 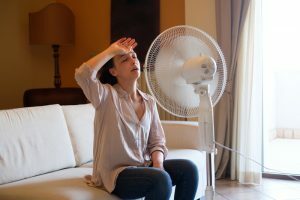 Let’s face it: summer here in Texas is quite hot and you deserve to own a system that is going to keep you and your family cool and comfortable all season long. Besides, you have plenty of other things to worry about during the summer, like finding the best ice cream shop in town. Of course, only a professional HVAC technician can determine whether or not it is time to replace your AC. But in the meantime, we’ve listed some of the signs that it is time for a replacement. Keep reading below to find out more. Although built to last, the average lifespan of an air conditioner is anywhere between 10-15 years (though it can last longer with regular maintenance). Older systems are simply not going to be as efficient or effective as current models. So, if your system has aged beyond this average life expectancy, it might be in your best interest to consider a replacement. In general, your system should not require more than just a couple of repairs every few years. If you find yourself calling for AC repair any more than that, it might just be that your system is worn out. As a rule of thumb, if you are paying 50% or more the cost of a new AC on repairs, it is better to just replace the system. The primary role of your air conditioner is to keep your home cool during the summer. If it no longer provides the amount of cooling power that your home demands, then it could be time for a new system. This is especially the case if you’re expanding your home or your family, making the demand for cool air higher. We always recommend keeping a close eye on your monthly utility bills. If you’ve noticed that you are paying more and more for energy with each passing month, it is wise to contact your local HVAC professional. Rising costs suggest that your air conditioner is inefficient. Investing in a new system might just be the best way to cut back on your monthly spending. Of course, it is important to contact your local HVAC professional if you suspect it might be time to replace your air conditioner. If the time has come for a replacement, your technician will match you with the system that will best meet your household’s unique cooling demands. Additionally, he or she will ensure that it is properly sized and installed, which is key to a long and successful service life. Sure, letting go might be hard, but sometimes, investing in a brand new air conditioner can definitely be worth your while. To schedule your air conditioning services, contact the professionals at D’Spain Sales & Service, Inc.